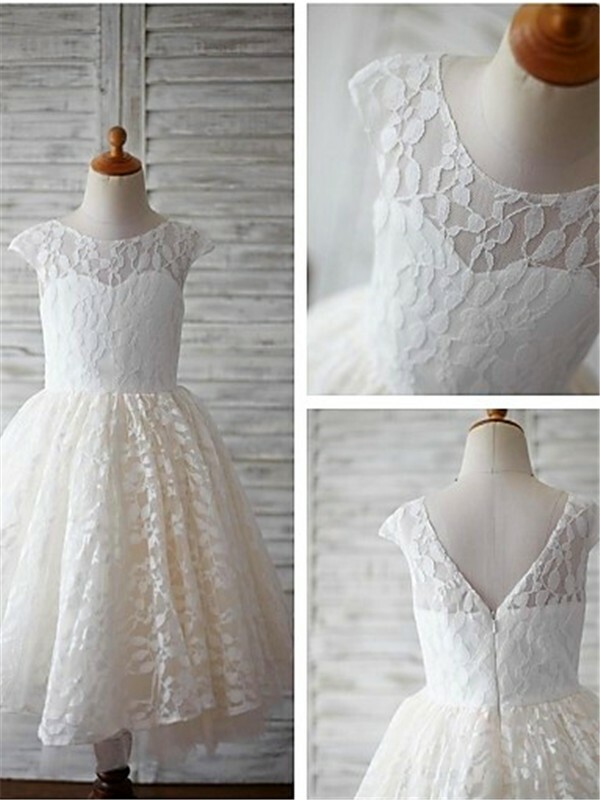 Buy Ivory Lace Scoop A-line/Princess Ankle-Length Flower Girl Dresses in Flower Girl Dresses - Wedding Party Dresses at Bonnyin.ca with low price and high quality. I am absolutely thrilled with how this dress turned out! Shipping was quick & efficient. 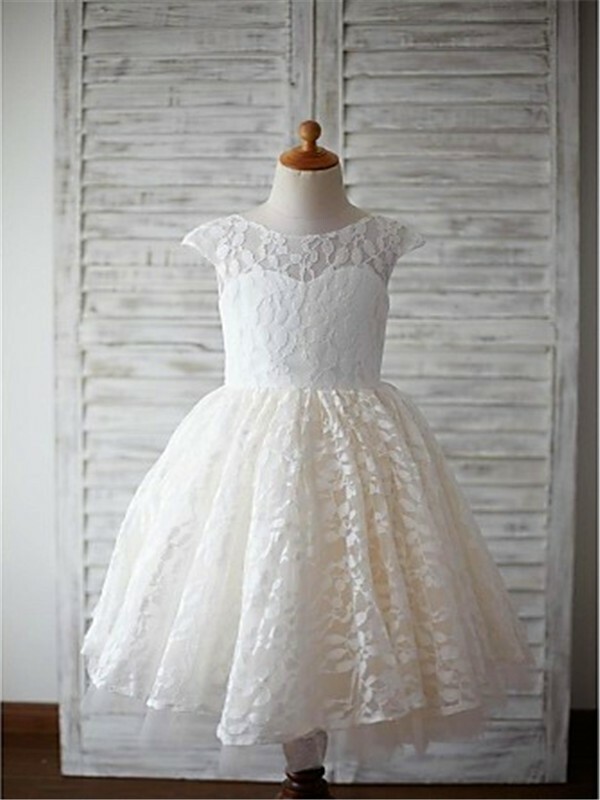 I ordered a size 4 for my niece that will be 4 in December & it fits perfect! 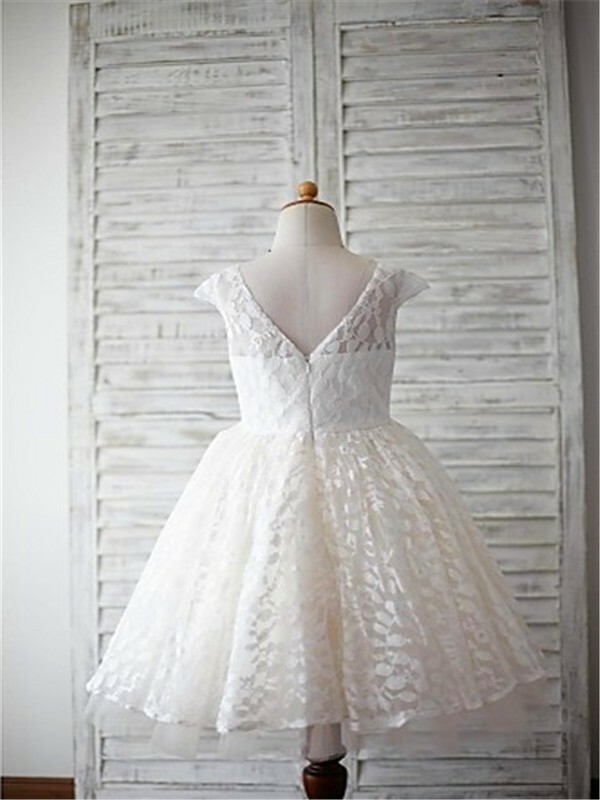 I can't wait until she wears this on our big day! Perfect for my daughter!! I bought this dress for special pictures and was exactly what I was looking for.